Christmas jewelry can be elegant, and the way to have your Christmas jewelry collection look great at many nicer events is to incorporate crystals into the jewelry pieces. Beginning several weeks before Christmas people start wearing Christmas jewelry. Often the jewelry is in the form of a broach or pin. The jewelry is often inexpensive, and too frequently also looks inexpensive. But, there are times for wearing better jewelry. Few people will purchase expensive gemstones for seasonal wear, but there is a level above the basic Christmas jewelry, and pieces can be found that will work well in a more formal setting. And, the pieces that are available are not restricted to broaches and pins. Crystals, especially colored crystals, can make a very impressive showing. So, if you are invited to a formal dinner party, a patron party at a museum, or an artist’s new showing, wearing a plastic reindeer with a blinking nose is just not appropriate, nor is that Santa Claus face that costs only one dollar. But crystals, even man-made Swarovski crystals, are elegant enough to wear. 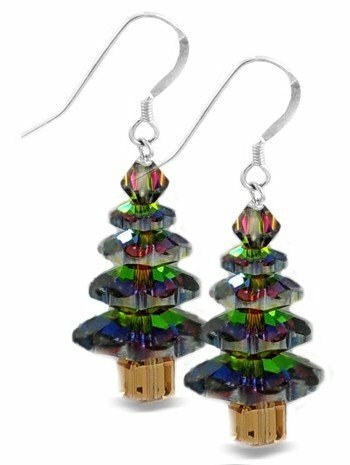 Swarovski crystal earrings, pendants, and broaches are easily found, and cost much less than rubies, emeralds, or sapphires. Yet, they can be great pieces that are appropriate for the occasion. In fact, many pieces of jewelry that have an expensive look are really quite affordable. And they can be worn for everyday accessories. 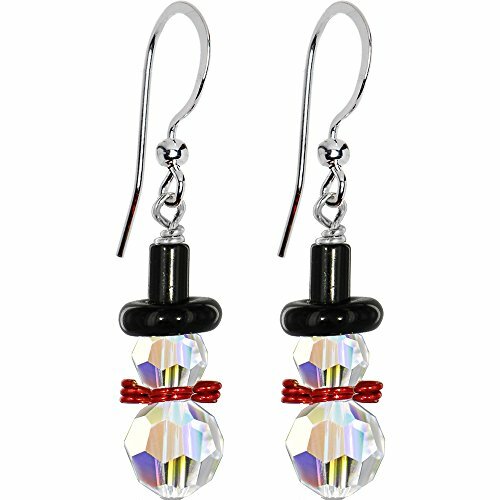 Below are several very nice pairs of earrings that can be worn just about anywhere. 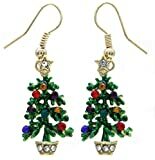 The first pair of earrings features Christmas trees with Swarovski crystals as the ornaments. 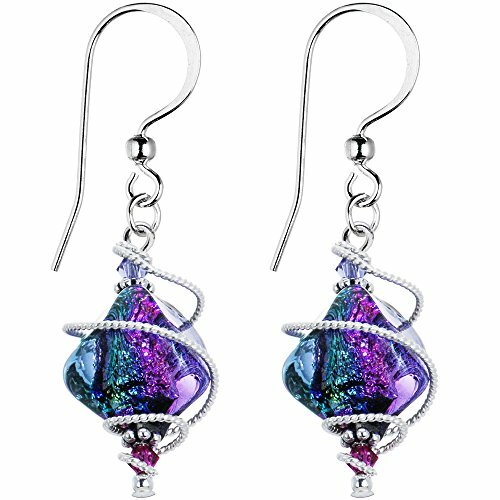 This pair of earrings is multi-colored and will really react with light, making you a sparkling point of focus. 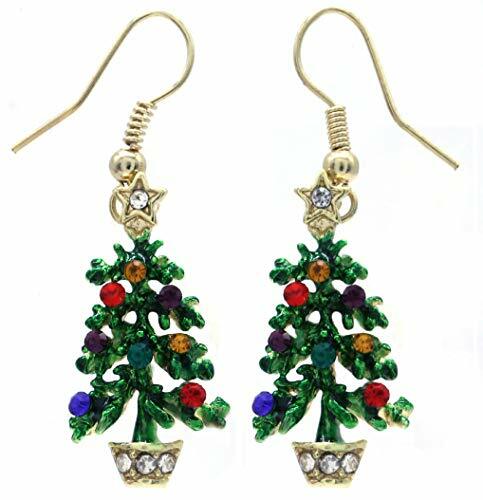 The second Christmas tree pair of earrings would serve better if a green accent is needed to complement the rest of your attire. It is also very fashionable. How about clear crystals fashioned into a snowman with a black top hat and a bright red scarf about the neck? One of these snowmen can adorn each of your ears, making you a hit at a seasonal gathering. A more subdued pair of earrings are the glass Swarovski element earrings in a basic blue color. These could be interpreted as Christmas ornaments, or could possibly be worn to a Hanukkah event. They are not specifically Christmas, so there is a real possibility of wearing these out of the Christmas season. 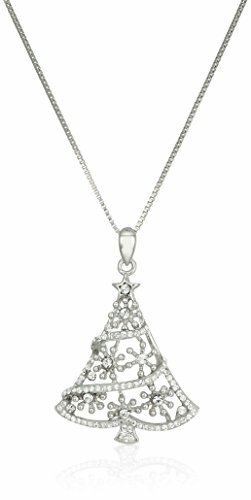 A silver Swarovski pendant in the form of a Christmas tree can be a beautiful accessory, and can be worn regardless of the color of your fashionable attire. 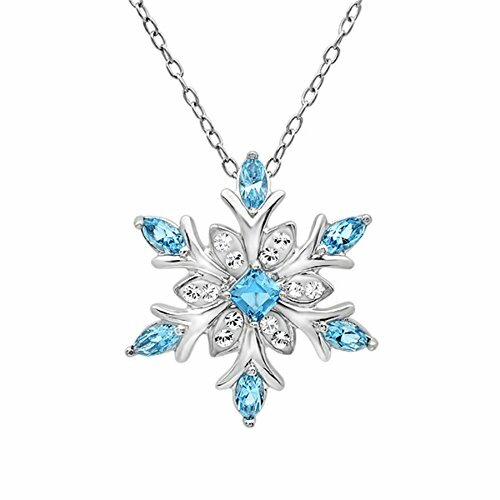 The snowflake pendant with blue and clear Swarovski crystals is particularly nice, and can be worn to many events, or as everyday jewelry. 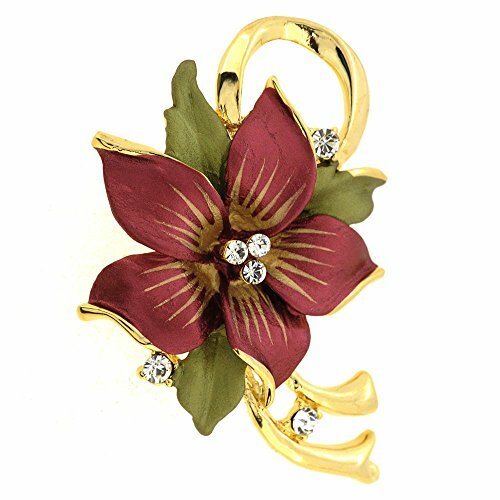 If you simply have gotten into the habit of wearing a Christmas broach during the season, a nice poinsettia broach incorporating Swarovski elements is a great option. 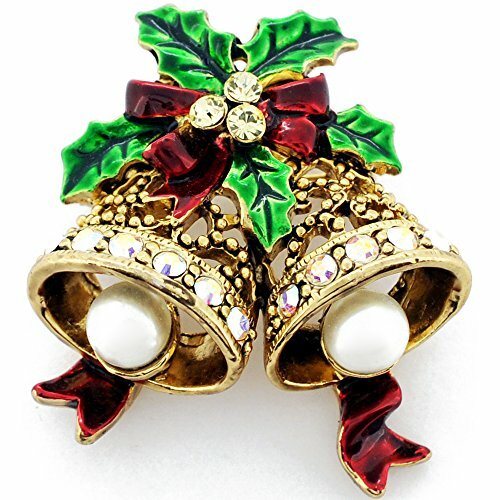 Another Christmas pin broach features a beautiful set of bells. The bells are on a holly bough and are complete with a bright red ribbon. 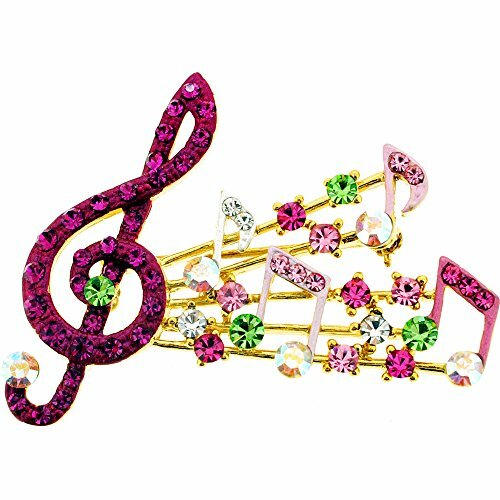 A pin broach that can be worn year round, but might be representative of Christmas carols is the music broach. This one would be great to wear to a symphony performance. It is a real possibility. Amazon traffic is still higher than other times of the year. These look so elegant and totally in the mood of Christmas! 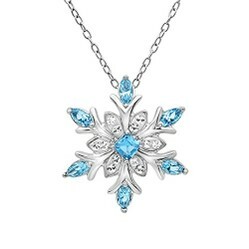 I'm going to order the snowflake pendant! I can't wait for Christmas to come! Yes, it is not just for Christmas but I added it anyway. That musical broach is just perfect for wearing to the annual presentation of the Nutcracker ballet, isn't it/ Or maybe Handel's Messiah! This was an accidental find. I wrote on Waterford Christmas ornaments, and as Amazon does I found some Swarovski ornaments when I wanted Waterford, so I added another article. when I searched for Swarocski Christmas ornaments a few pieces of jewelry came up. I clicked on one and the related items from the few I had come up opened enough images of other pieces of jewelry to writ this one. Three articles came from one idea, and a little following the leads to new and exciting things. They look so nice I had to write about them. I picked carefully from even more. There are many available. I don't think anyone need be at a loss for Christmas ideas with stunners like these.